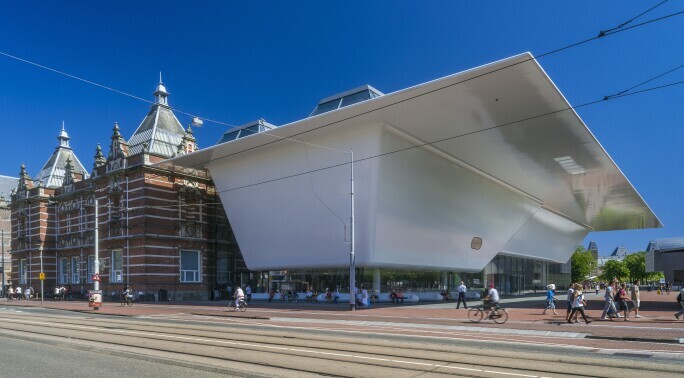 Amsterdam - Five years on from the opening of Benthem Crouwel Architects’ “bathtub” extension, the Stedelijk has unveiled the final phase of its transformation, this time at the hands of the Dutch architect Rem Koolhaas. Where formerly the permanent collection hung in what Koolhaas describes as the “small rooms” of the original 1895 building, and the futuristic wing was used for temporary exhibitions, the new configuration has switched functions. 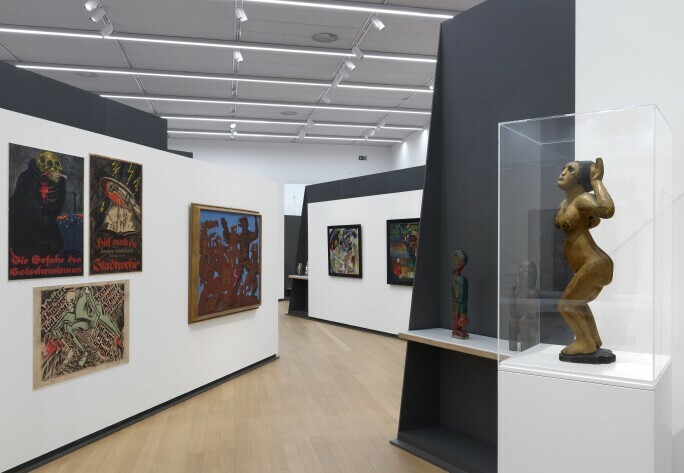 Now 700 works from the collection can now be found in the upper-floor gallery and basement of the extension – hence its new official name: Stedelijk BASE. 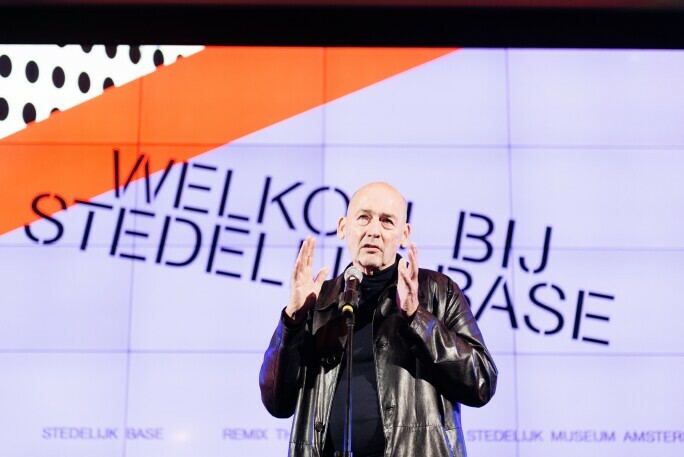 “The Stedlijk was my university really,” says Koolhaas, who was personally involved in the design. It is credited to his research and design studio AMO, rather than to OMA (for the Office of Metropolitan Architecture), the practice he co-founded in 1975. Stedelijk Museum view of the original building (2012). Photo courtesy of Stedelijk Base. Visitors are not invited to move the art by blowing on it, as Tinguely did with his balloon installation in Dylaby, but Koolhaas’s scheme is nevertheless a refreshing and original way to present art. Working in collaboration with OMA/AMO’s exhibition designer Federico Martelli, who spent six months “embedded” at the Stedelijk, the idea has been to create a kind of labyrinth by means of freestanding unpainted grey steel screens of varying heights, each a slender 15mm thick (yet weighing a combined 180 tonnes; beneath the pale wooden floor lies a concrete underpinning that is eight metres deep). These are placed at oblique angles to one another, and the spaces between them – some narrow, some open – have been configured to prompt close looking, or draw visitors to complementary or contrasting works, to offering surprising perspectives. “Perhaps it’s easiest to look at it in the form of an urban layout, with places, plazas, squares,” says Koolhaas. There is even a narrow staircase between two back-to-back screens that can be climbed for an aerial view. The works – mostly paintings, but also sculpture and design – have been grouped according to the “individual or collective stories they tell,” tracing the development of art in the 20th century. 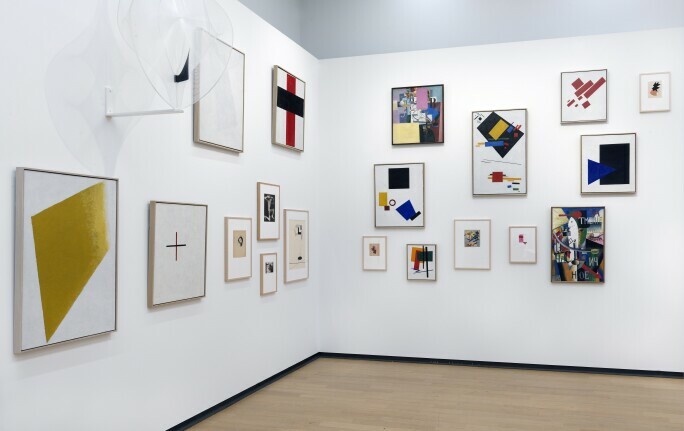 “Instead of a linear narrative, we’ve created a web of connections.” So the corner devoted to the Russian avant-garde – a dense salon-style hang that includes 11 works by Malevich – is flanked by displays of Bauhaus furniture and graphic design on one side, and works by artists associated with De Stijl, from Gerrit Rietveld’s Red Blue Chair, 1918–1923, to paintings, figurative and linear, by Mondrian, on another. Elsewhere there are what Margriet Schavemaker, the Stedelijk’s head of collections and research, calls “canonical clusters” of works from various key movements: a display of Colour Field paintings near a wall of De Koonings and a Jackson Pollock; Arte Povera backed up against American Pop Art and so on.